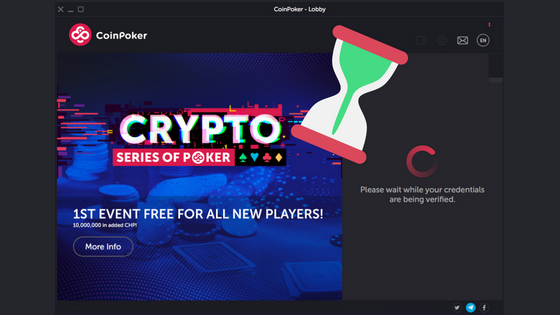 With plenty of exciting news coming up, there’s bound to be some new faces popping up in our lobby and at the tables. 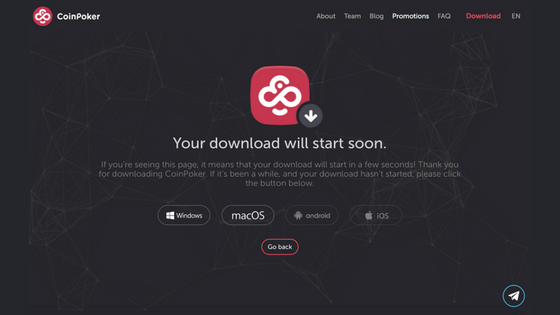 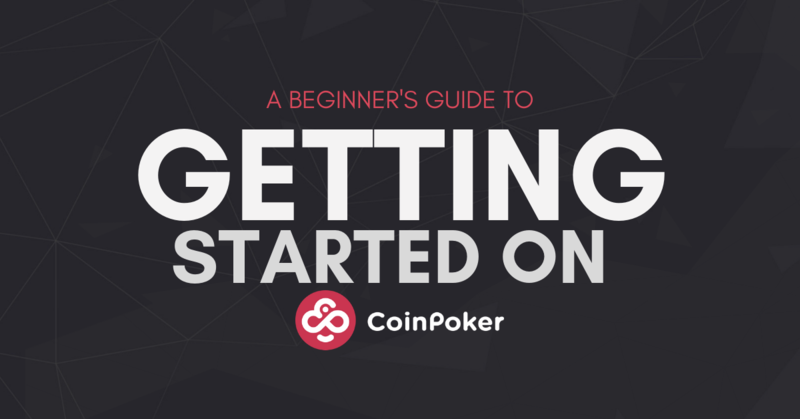 That’s why we put together a detailed guide for new players looking to join the action, and it all starts with downloading the app from our homepage. 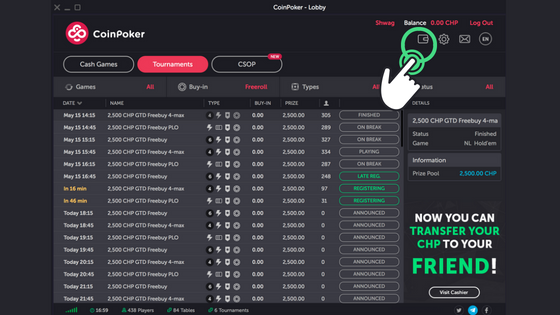 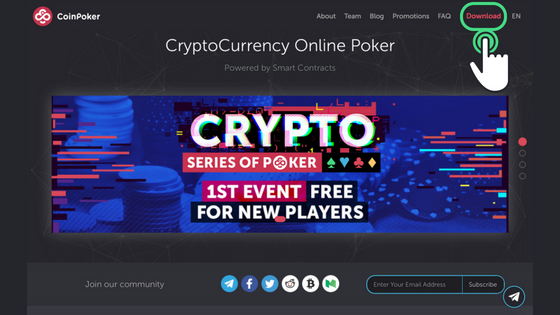 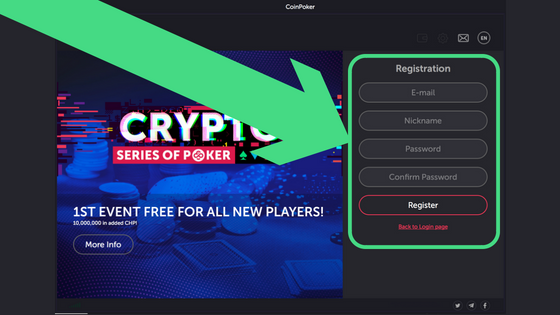 Welcome the CoinPoker lobby! 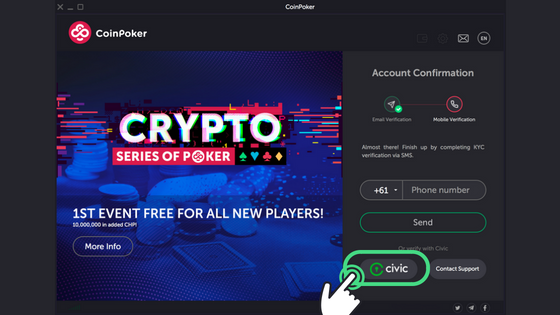 Click on the wallet icon to finish up and make your first deposit. 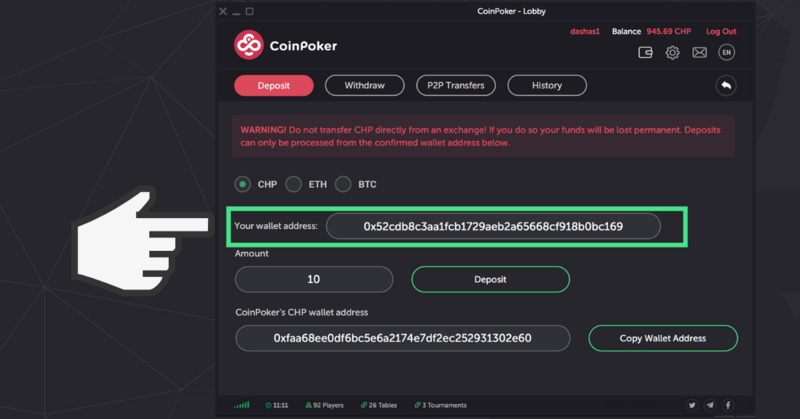 The wallet address you use for your first-time ETH or CHP deposit will be confirmed linked to your account. 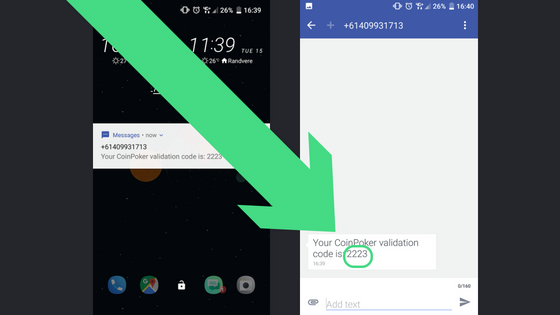 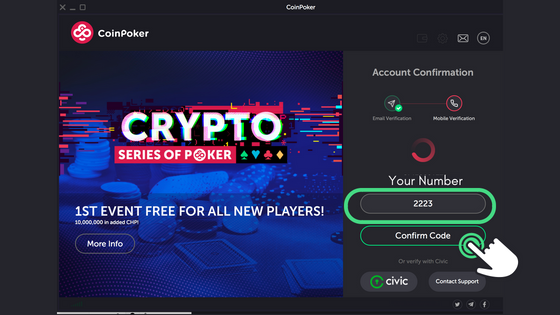 To do this, carefully enter your address in the field as shown below and select the amount of ETH or CHP you want to send to your account. 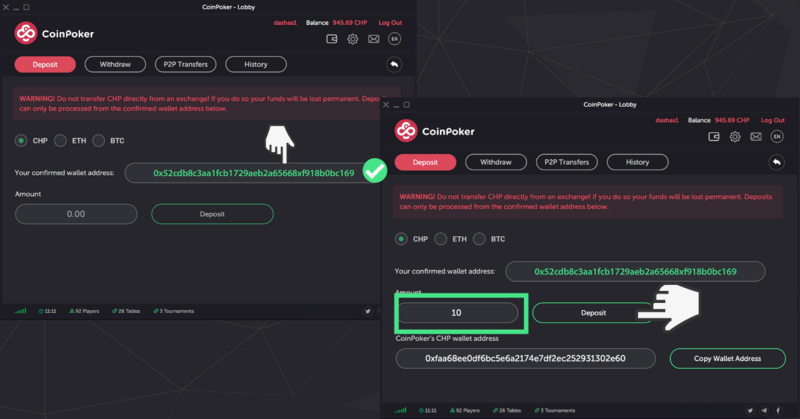 Once you make that first deposit, your wallet address will turn green. 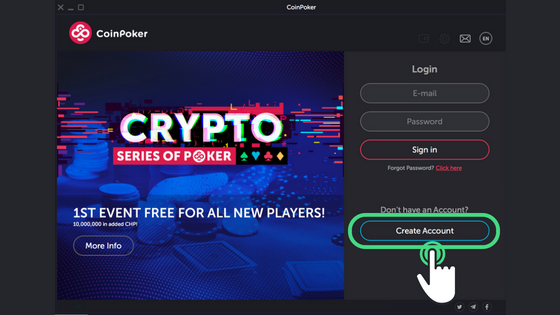 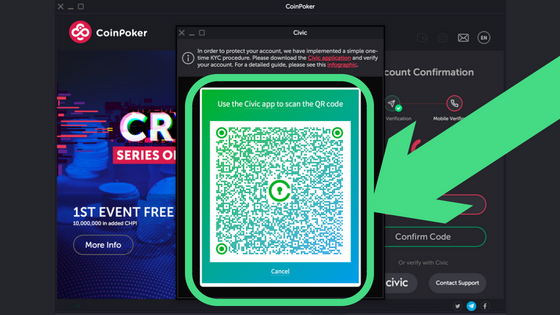 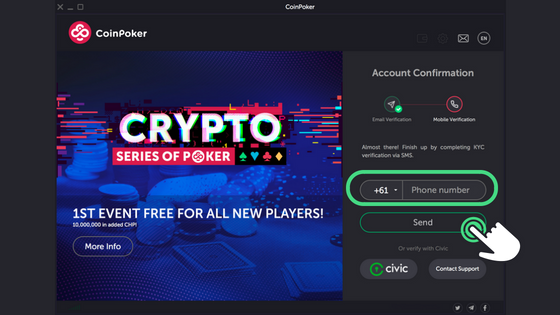 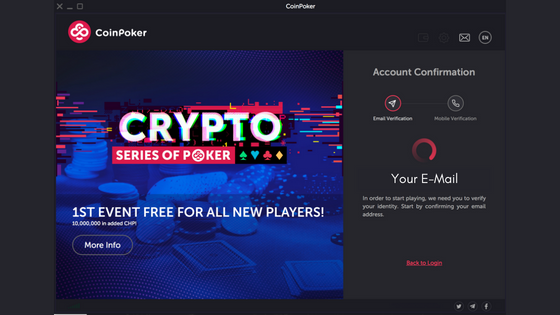 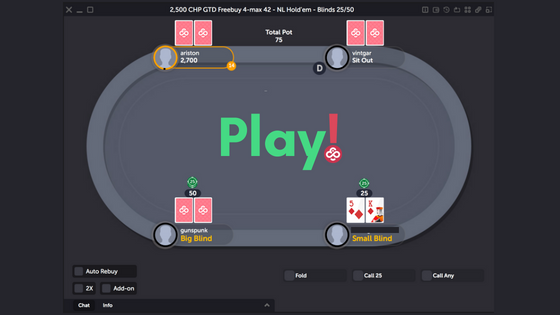 This means that it is verified and linked to your CoinPoker account and you won’t need to manually enter it anymore when making future deposits. 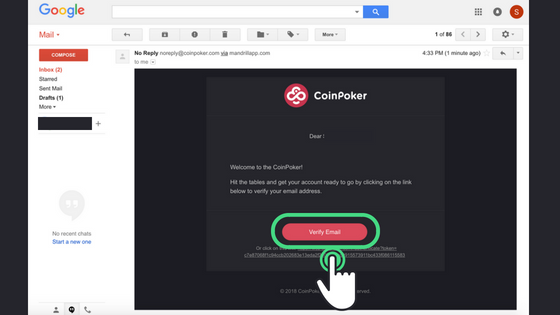 If you happen to change your wallet or want a new one, you can send an email to [email protected] and we will amend it for you.